Sorry, this competition is now closed. 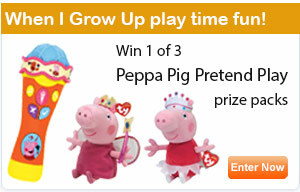 Thanks to Big Balloon we are giving away 3 x Peppa Pig Pretend Play prize packs, valued at $51 each. When I Grow Up, What Will I Be? Peppa Pig, George, and all their friends, love to imagine what they will be when they grow up! In the way of all pre-schoolers, imaginative play and play acting are part of the fun for our favourite little piggy and her playgroup friends. 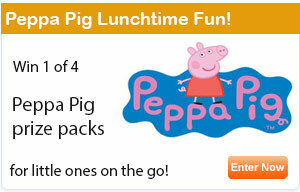 Peppa Pig often finds herself in various guises, from Nurse to Zoo Keeper, Chef to Pirate, Magician and even as a Singer. While George too gets up to his own shenanigans as a Fireman, Astronaut, Detective, and Footballer… just to name a few! In fact, all the characters explore different roles, careers and activities, designed to appeal to pre-schoolers who may have dreams of being lots of different things, when they grow up! According to Professor of Early Childhood Studies at Flinders University, Nicola Yelland, pretend play provides us with a window into the ways in which young children are interpreting the world, and how they are making meaning about the behaviours, actions and ideas that they experience. For fans who want to play pretend themselves and explore with Peppa, there are lots of options for When I Grow Up play time fun with toys from Big Balloon. Provided you are a Parenthub newsletter subscriber (subscribe here), simply fill in the form below and answer the question. Participation in the Parenthub Competition (Competition) indicates your acceptance of the terms and conditions of entry set out below. The Promoter is Virtual Medical Centre.com of Level 2, 541 Hay Street, Subiaco, Western Australia 6008. Postal address is PO Box 531, Subiaco WA 6904, Australia. ABN 12097593587. Phone: +61 (08) 9388 0344. Fax: +61 (08) 9388 0611. The prize is sponsored by Big Balloon, Unit 4, 30 Cubitt Street, Richmond Vic 3121. Promotional Period.The Promotion will be open from 1pm Australian Eastern Standard Time (AEST) on Friday 16 November 2018 until 1pm AEST on Friday 14 December 2018. Eligible Entrants. Entry is open to all Australian residents, aged 15 years and over, who are new or existing newsletter subscribers of Parenthub, except employees or contractors of the Promoter or prize sponsor, and members of their immediate families. Entrants under the age of 18 must obtain the prior permission of a parent or guardian to enter. Prizes. There are 3 (three) prizes: Each prize consists of a prize pack of 1x Ty Peppa Pig Ballerina Beanie RRP $12.95, 1x Ty Peppa Pig Princess Beanie RRP $12.95, 1x Peppa Pig Sing & Learn Microphone RRP $25.00, each pack valued at $50.90. Total prize pool RRP $152.70. Winners: The winners of the competition will be the people who submit an entry that the judges regard as the best in terms of creativity and originality. Chance plays no part in determining the winners. The judges’ decision is final and no correspondence will be entered into regarding their decision. Incomplete, illegible or incorrect entries or entries containing offensive or defamatory comments, or which breach any law or infringe any third party rights, including intellectual property rights, are not eligible to win. Notification: The winners will be selected by the promoter and winner contact details will be sent to the sponsor. The prize sponsor will send the prizes to the winners’ contact addresses as provided in the entry form. The winners may also be posted on parenthub.com.au (including their name, suburb and state). Change of address: It is the entrants’ responsibility to inform the Promoter if their residential address, email address or phone number changes during the Competition Period. 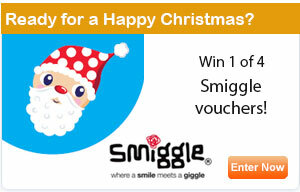 Prizes will only be delivered in Australia. Unclaimed prizes: In the event that the Prize has not been claimed by 12 noon AEST 21 December 2018, subject to any directions given by State and Territory gaming departments the prize will be awarded to the next best eligible entrant as chosen by the judges. Prizes are not transferable or exchangeable and are not redeemable for cash. All other costs associated with a Prize are the responsibility of the winner. The Promoter shall not be liable for any Prize that may be lost, stolen, forged, damaged or tampered with in any way before it reaches the winner. If the Promoter is unable to provide a winner with the nominated Prize, the Promoter reserves the right to supply an alternative prize of the equal or greater value, subject to any written directions given by State or Territory gaming departments. Entries will be deemed to be accepted at the time of receipt by the Promoter. No responsibility will be taken for lost, late or misdirected entries. The Promoter is not responsible for technical difficulties with the entry mechanism and does not warrant that the entry mechanism will be available at all times. If, for any reason, the Promotion is not capable of running as planned, including due to infection by computer virus, bugs, tampering, unauthorised intervention, fraud, technical failure or any other causes beyond the control of the Promoter, which corrupt or affect the administration security, fairness or integrity or proper conduct of this Promotion, the Promoter reserves the right in its sole discretion to take any action that may be available, subject to State and Territory regulations. The Promoter reserves the right to disqualify entries in the event of non-compliance with these terms and conditions of entry. In the event there is a dispute concerning the conduct of the Promotion, the decision of the Promoter is final and binding on each entrant and no correspondence will be entered into. The Promoter reserves the right to request winners to provide proof of identity, proof of residency at the nominated prize delivery address and/or proof of entry validity in order to claim a prize. Proof of identification, residency and entry considered suitable for verification is at the discretion of the Promoter. In the event that a winner cannot provide suitable proof, the winner will forfeit the prize in whole and no substitute will be offered. The Promoter makes no representations or warranties as to the quality/suitability/merchantability of any of the goods/services offered as prizes. The Promoter or prize sponsor shall not be liable for any damage or loss whatsoever which is suffered (including but not limited to indirect or consequential loss) or any personal injury suffered or sustained in connection with this promotion, except for any liability which cannot be excluded by law. By entering the competition, each entrant agrees to the use of their 25 word statement for printing, broadcast, publicity and promotional purposes, without compensation, and agrees that the Promoter will own all intellectual property rights, in any such material. The personal information provided by participants to the Promoter may be used by the Promoter for the purpose of conducting the Competition. The Promoter is bound by the provisions of the Privacy Act 1988.